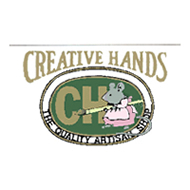 Creative hands, known for their extensive collection of Wee Forest Folk collectibles, also carries other handmade collectibles, sports memorabilia and unique decorations designed to make your home original. Wee Forest Folk are miniature, handcrafted figurines that originated in Concord, Massachusetts- the origin of American independence. Founded initially by the Peterson family, Wee Forest Folk figurines are an unprecedented and unique because of the shear amount of work and attention to detail needed to create them. Along with this massive collection, including background sets, multiple figurine sets and “Young Annette in Central Park”- a special piece celebrating Annette Peterson 98th birthday, there’s certainly something unique at Creative Hands for everyone.